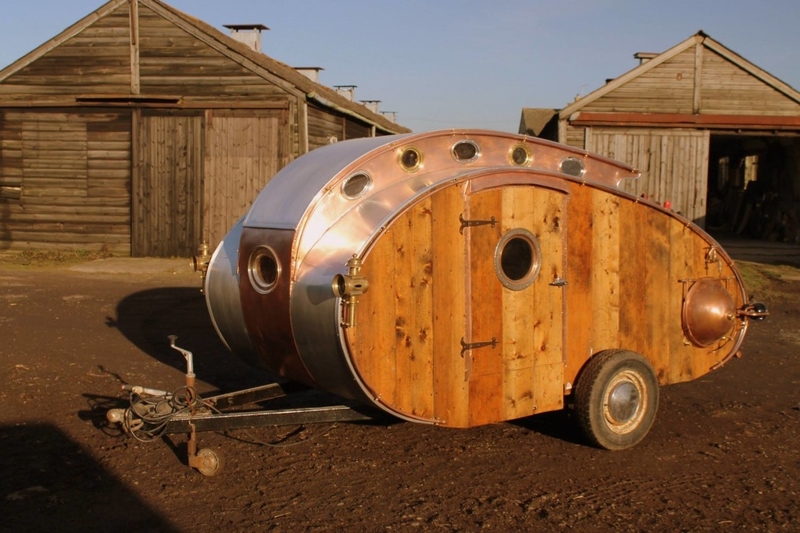 DIY Steampunk Teardrop Trailer self-build, press the image for more info and photos. 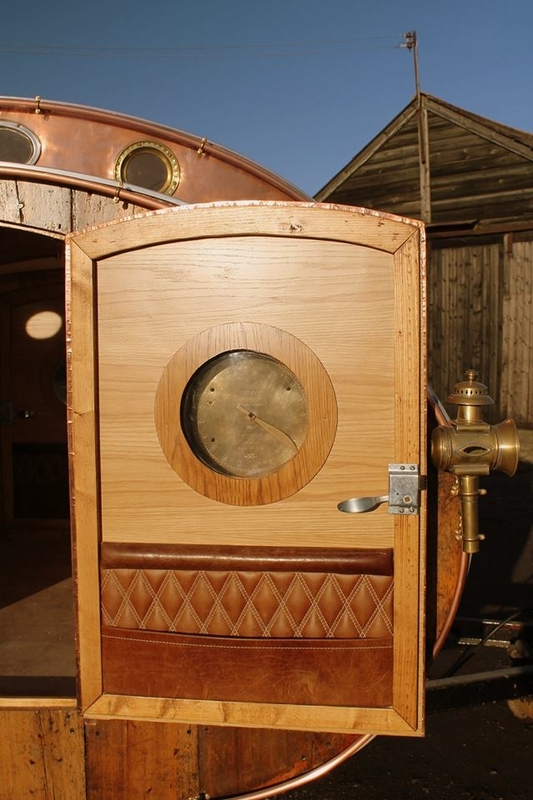 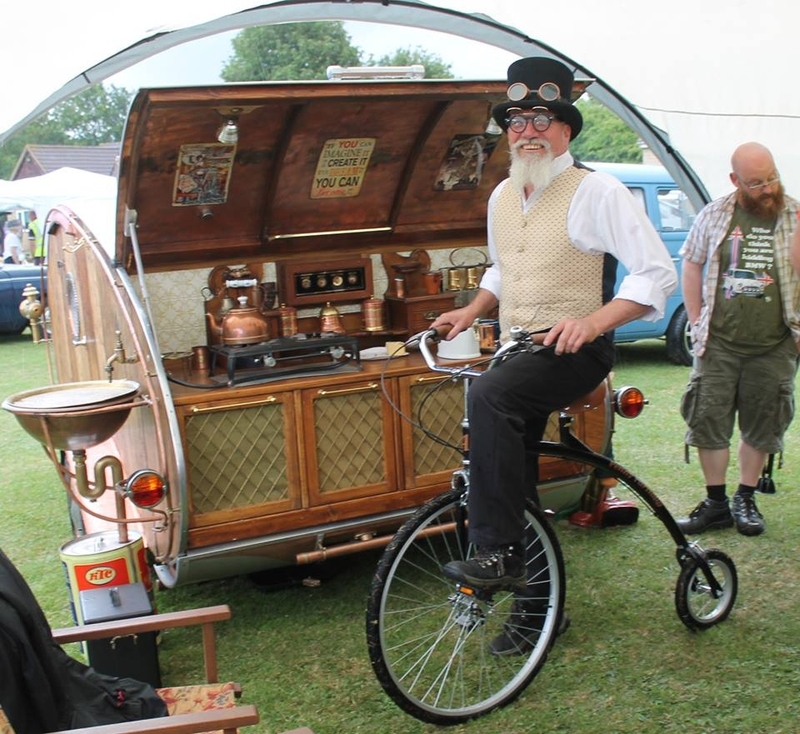 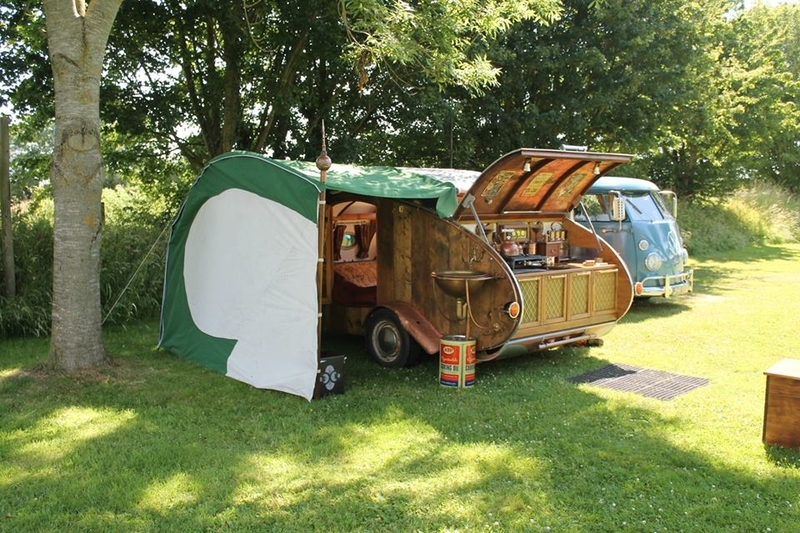 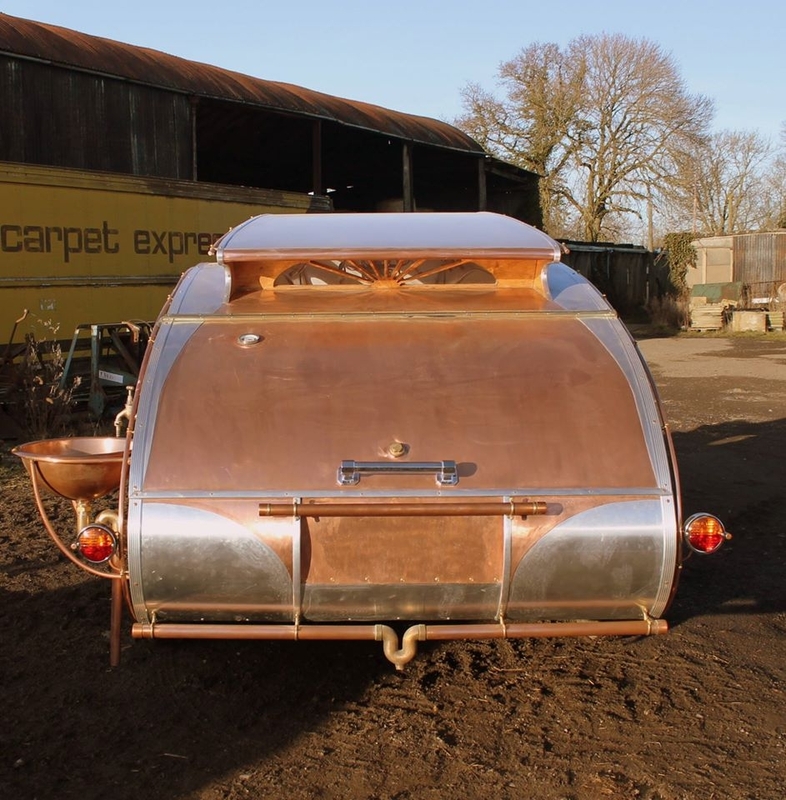 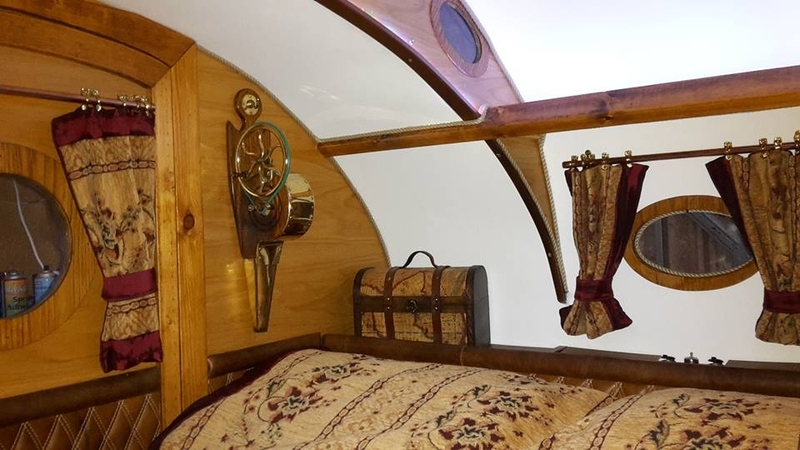 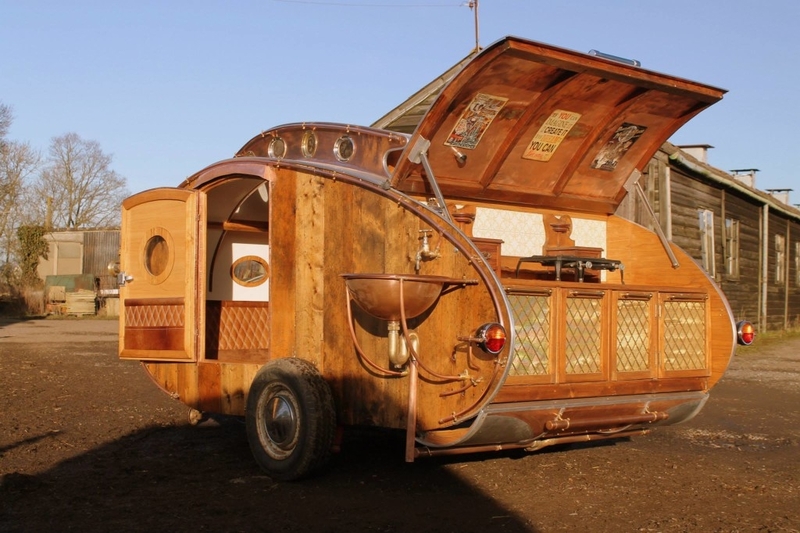 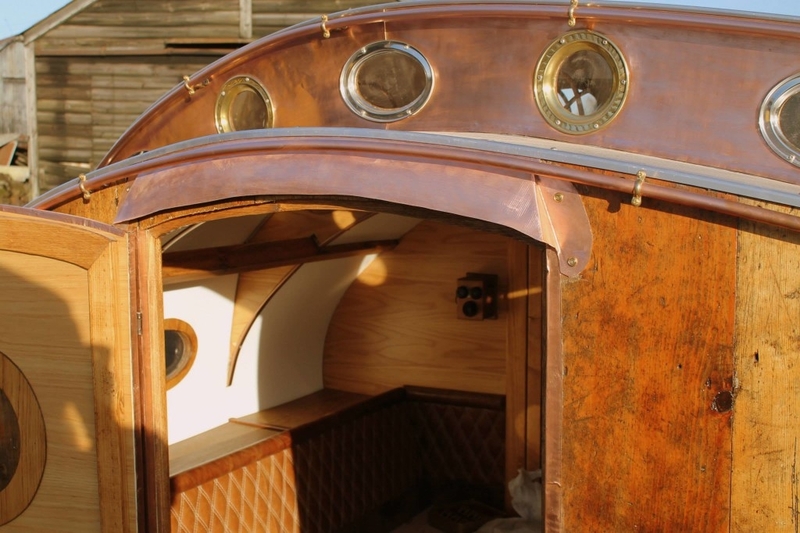 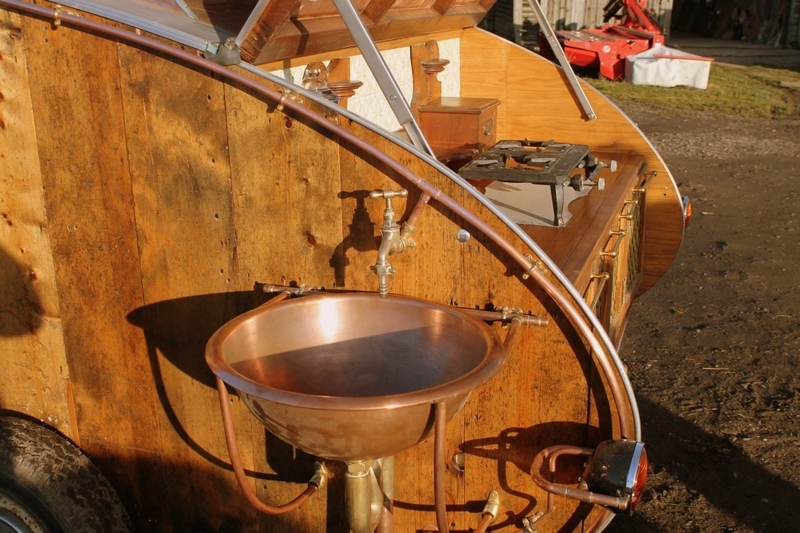 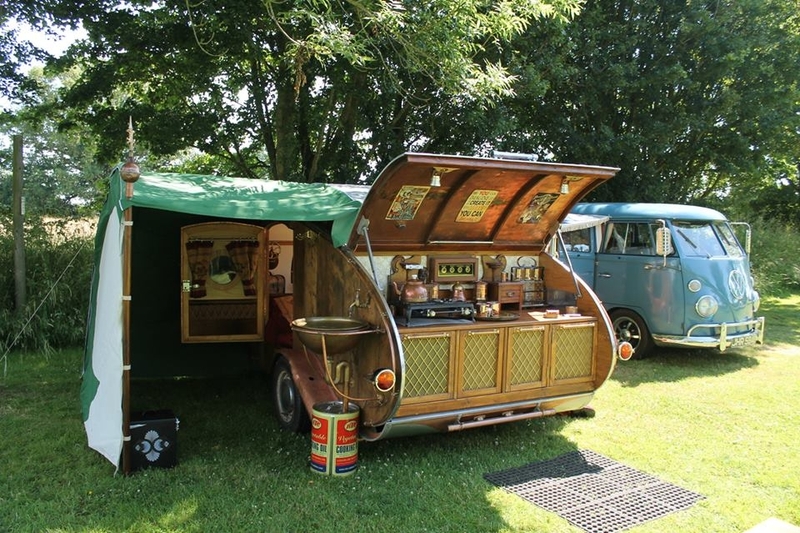 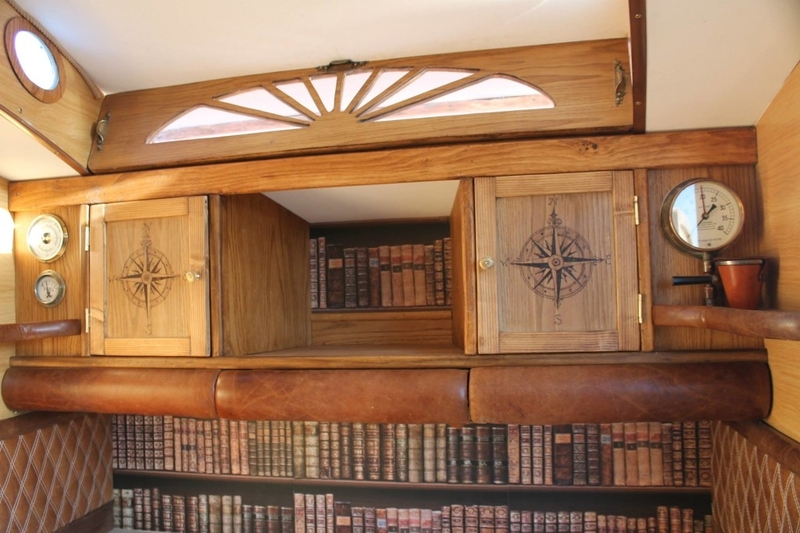 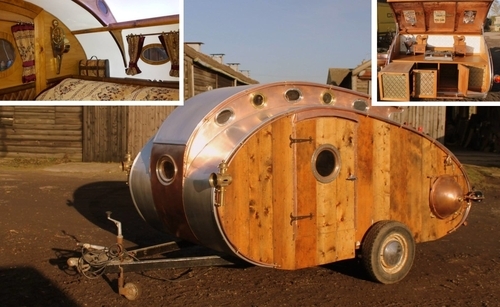 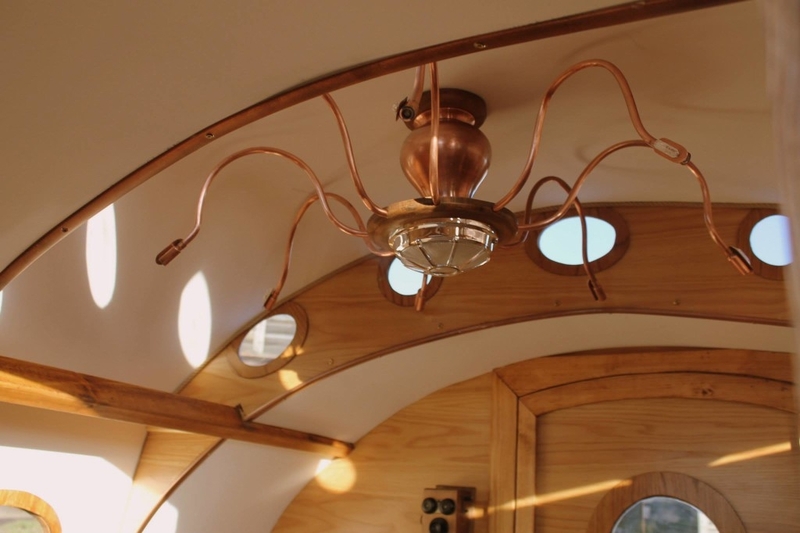 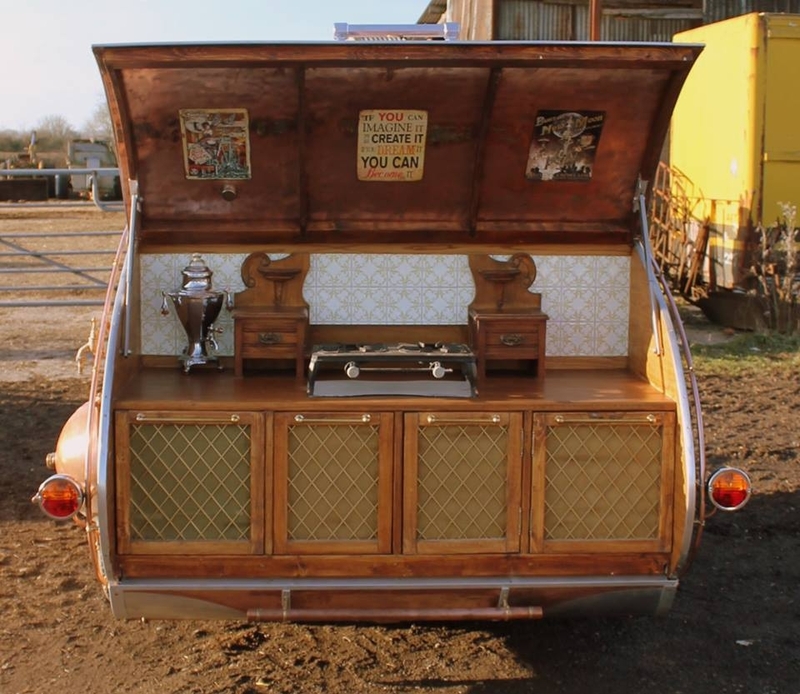 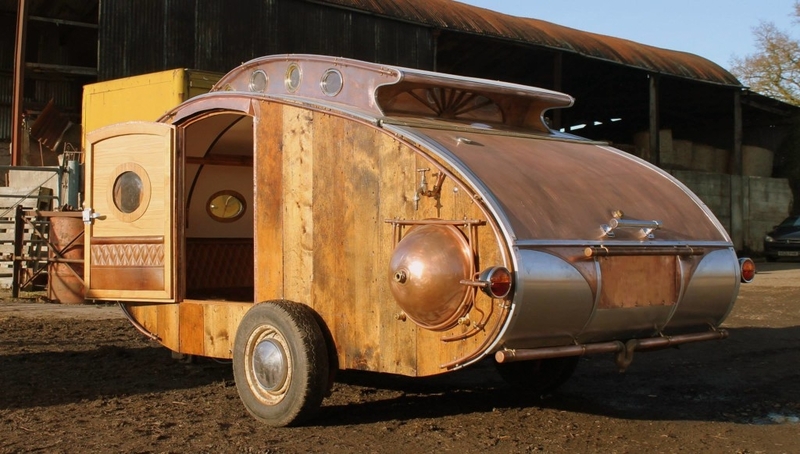 The Teardrop Trailer was built by British Steampunk enthusiast, Dave Moult. 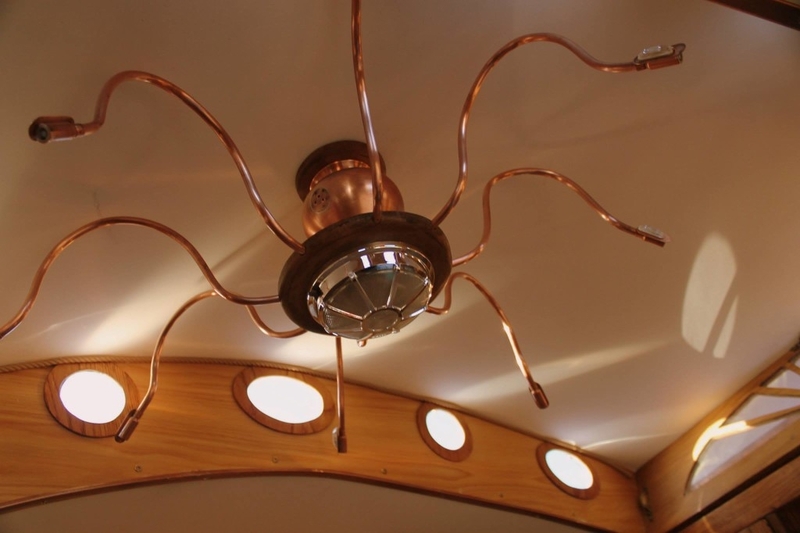 He was planning certain aspects of his build, long before he started construction. 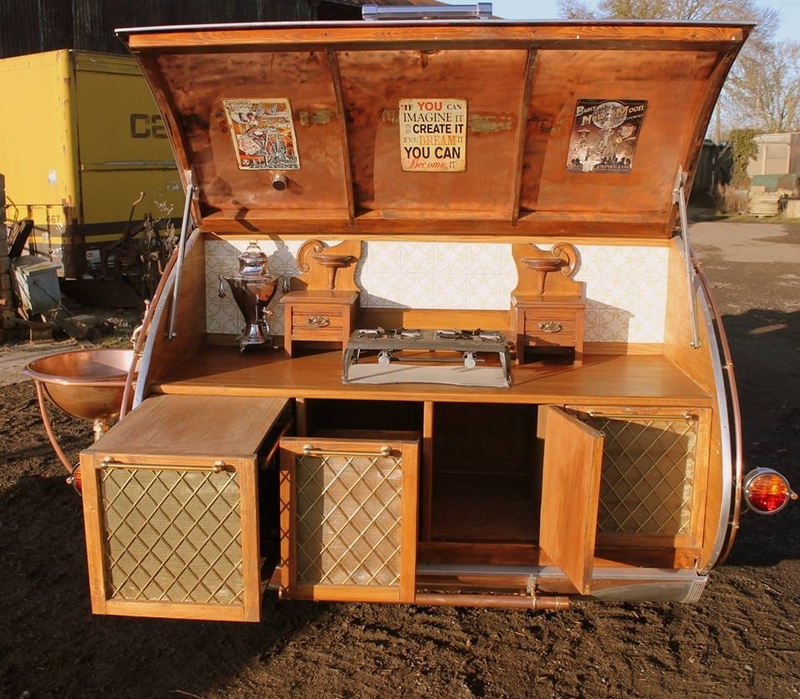 The materials came from many different places including, recycled parts, eBay, and car boot sales. 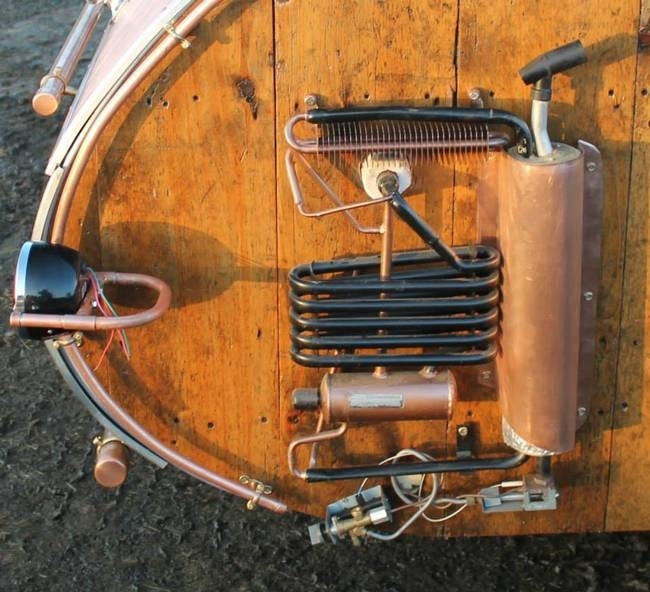 It has taken him a lot of hours to collect all of the individual parts and to build the structure. 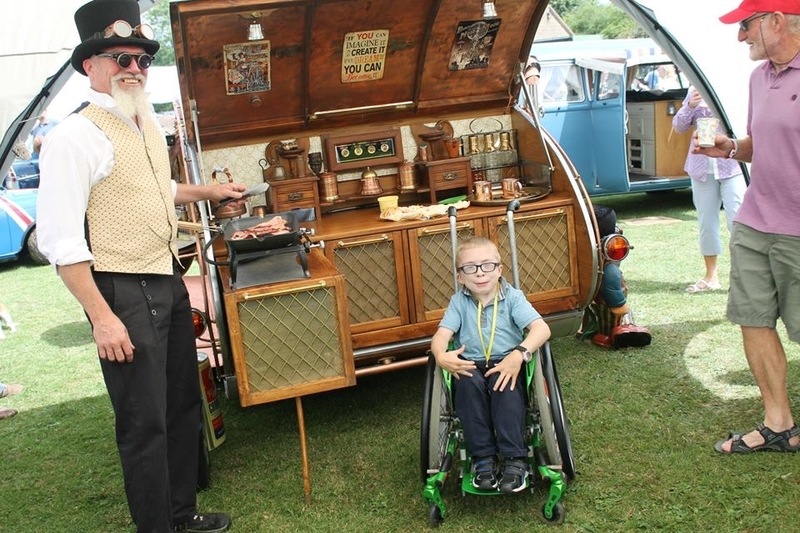 His greatest advice is to use the resources and the knowledge on the internet, by becoming part of specialised groups, you can ask for help from people that have done it before and that are more than willing to share their expertise with you. 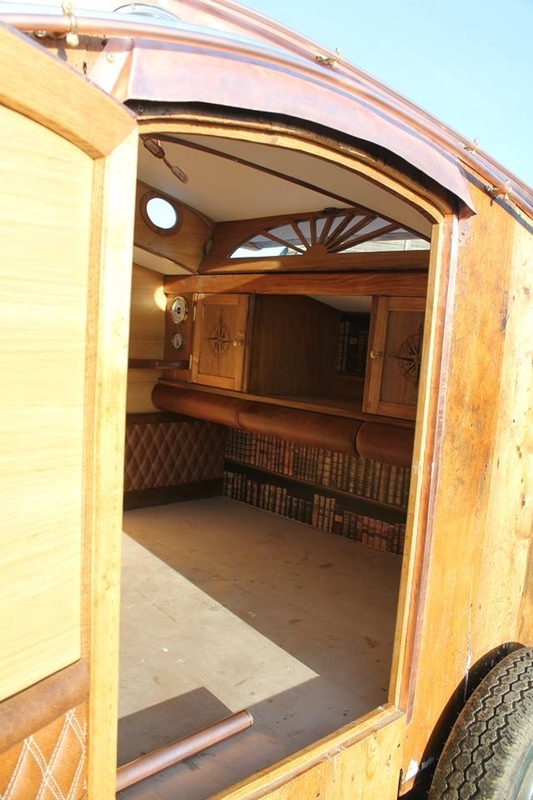 I have included quite a few pictures so that you can see every aspect of this lovely trailer, with a picture of Moult right at the end.